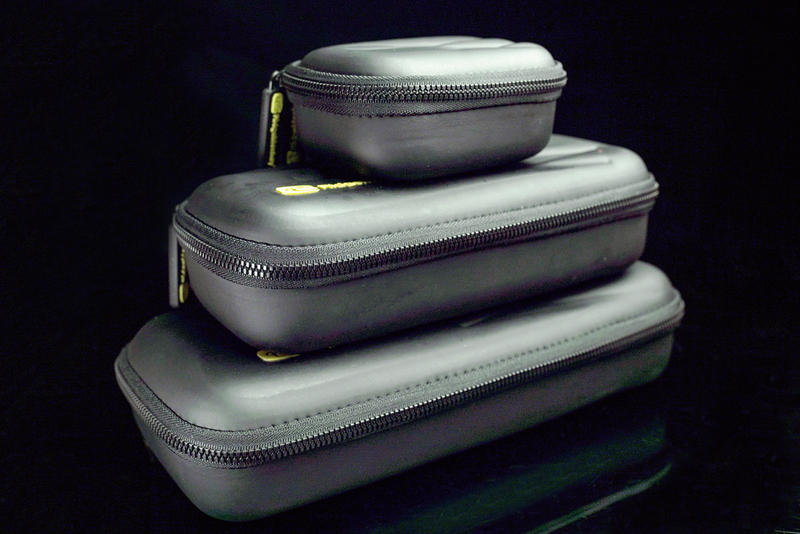 These rugged cases are designed to complement a wide variety of the RidgeMonkey tech products, providing storage solutions that allow you to safely transport and protect your kit in dedicated, weather-resistant, soft-lined carry cases. Each of the GorillaBox cases also features an additional storage pouch on the underside of the lid and they all bear the same chunky zips. The 370 and 480 sizes also include a removable tablet sleeve, chunky double zips, a robust carry handle and a nifty direct-access, cable port, situated beneath a small plastic flap on the sidewall – meaning you don’t need to remove the Vault C-Smart from its packaging!